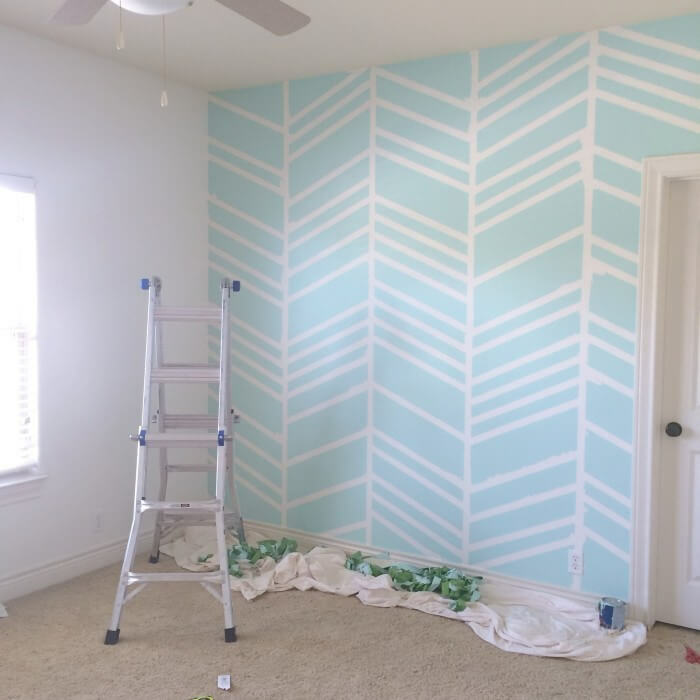 Oh my gosh that wall looks amazing!!! You did an amazing job!! I love the dresser color with that chair – it’s such a pretty color combination!! I didn’t realize that you guys had picked a name – I love the name Harper – so sweet!! Hope you have a wonderful 4th!! OMG!! This is BEAUTIFUL!!!!! 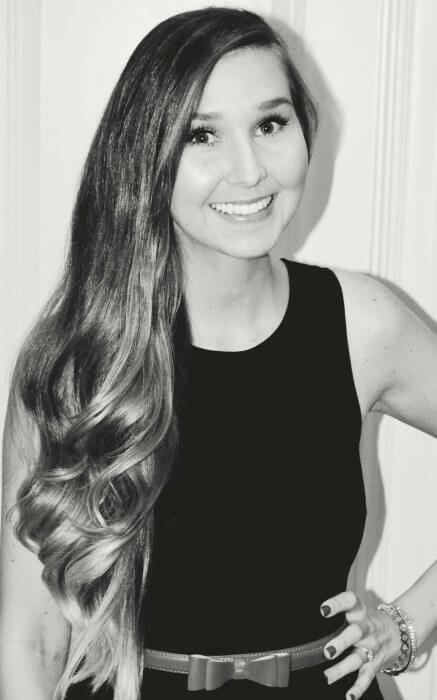 You go girl!!!! Love her name!!! That’s one of my dear friend’s little girls name The wall looks killer. Yes there’s touch up, but it’s totally going to be worth it! ahhh I love the flamingo idea for baby girls nursery!! There is something so cute and playful about flamingos. The herringbone wall looks great in the photo actually but I’m guessing it’s just when you are looking at it up close. So stinking cute! 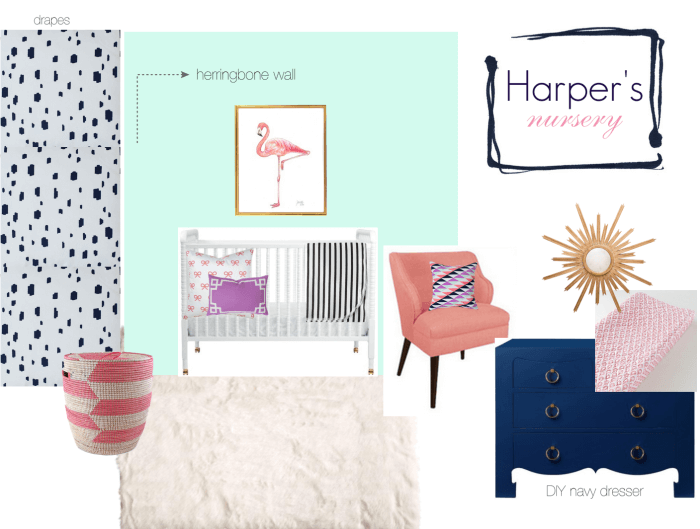 Harper is an ADORABLE name and she will have the cutest nursery ever! I am about to do this project this week! Did you use 2 inch tape? Any tips to offer?